A Rochester, N.Y., judge was arrested and charged with driving while drunk while she was on her way to court Saturday morning, the Huffington Post reports. 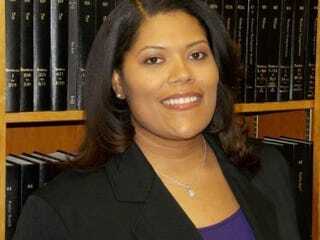 Rochester City Court Judge Leticia Astacio, 34, was supposed to preside over criminal arraignments when she was involved in a single-car crash on Interstate 490 around 8 a.m. Saturday, according to the Huffington Post. According to the report, Astacio refused to take a Breathalyzer test when speaking with a state trooper and was then issued a ticket for designated DWI with refusal. She is scheduled for a court appearance early next month. According to the Democrat & Chronicle, another judge, Charles Crimi, had to oversee the arraignments in Astacio’s place. Astacio was elected to her position in 2014, defeating two other Democrats in a September primary before running unopposed in the general election, the Democrat & Chronicle reports. Read more at the Huffington Post and the Democrat & Chronicle.